Pay a fixed monthly fee and Unique Motorsports will take care of your motorcycle maintenance and repairs. Total Maintenance Packages (TMP) are available from $180* monthly onwards. Please contact Mr Kelvin Lim at 93388999 or email at kelvin@uniquemotorsports.com.sg for more information on Total Maintenance Packages. Thank you. 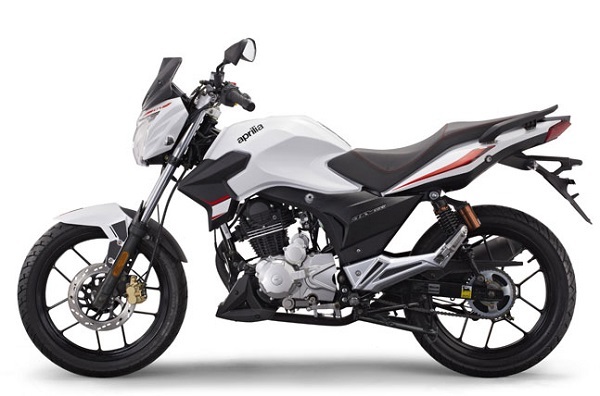 *Prices depend on make, models and numbers of the motorcycles in the fleet. For a fixed monthly payment, Unique Motorsports Pte Ltd will take care of your motorcycle/ scooter fleet for you. 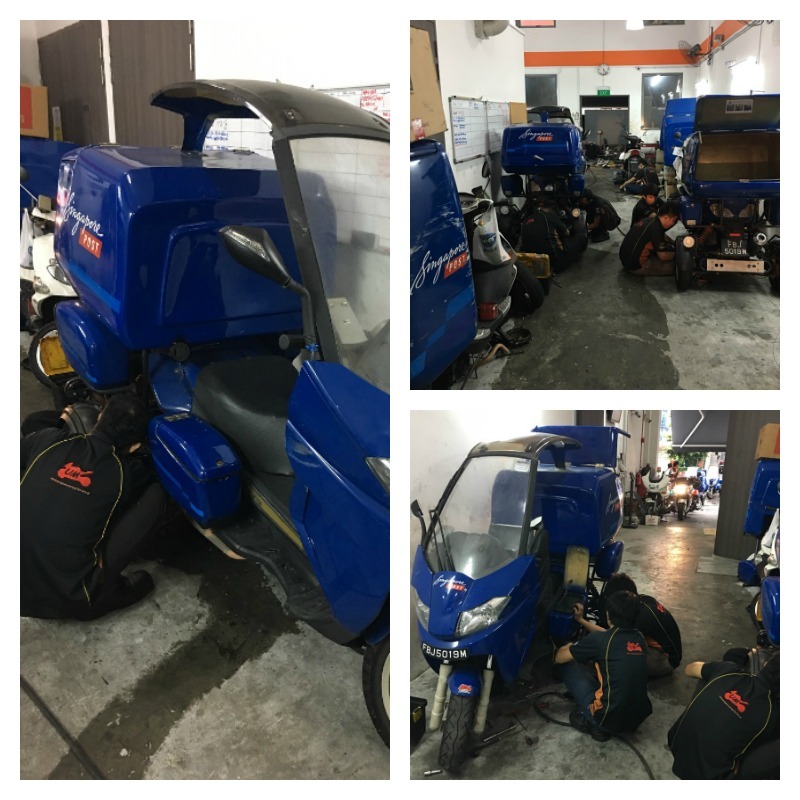 Unique Motorsports Pte Ltd will schedule maintenance for your fleet, covering servicing and preventive maintenance tasks which are performed to retain the motorcycles/scooters in a functional and roadworthy condition. Unique Motorsports Pte Ltd will provide onsite servicing. For jobs that cannot be completed on site, the motorcycle will be towed to Unique Motorsports Pte Ltd's workshops. Tyres Sealant : All new rear tyres of the motorcycles will be injected with tyre sealant to prevent puncturing. The schedule for AVI of the fleet shall be planned by Unique Motorsports based on LTA requirement. 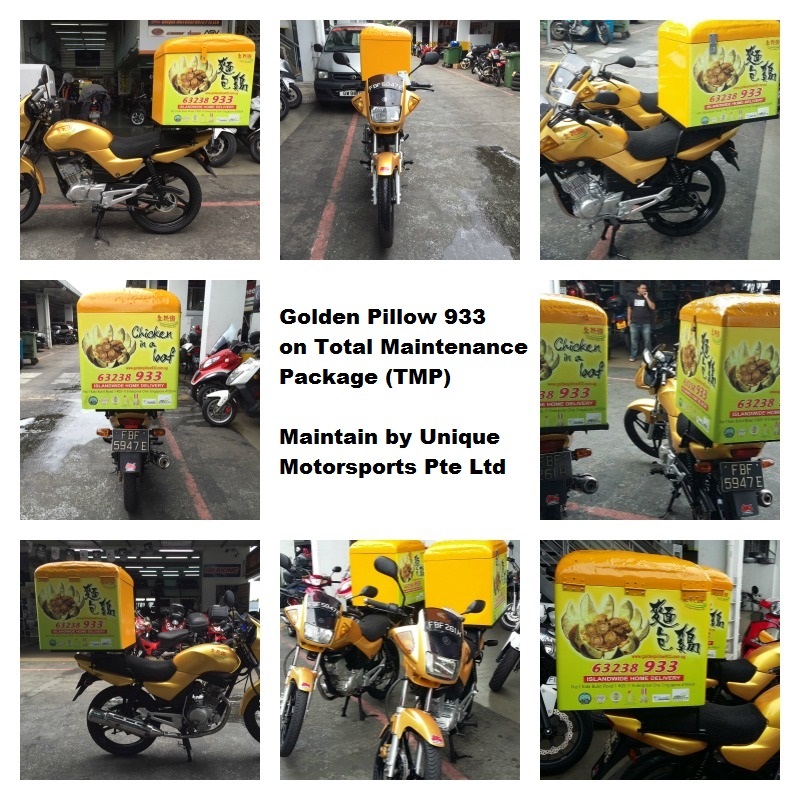 Unique Motorsports Pte Ltd shall send the motorcycles on behalf of the Owner to any of the authorized inspection centres. 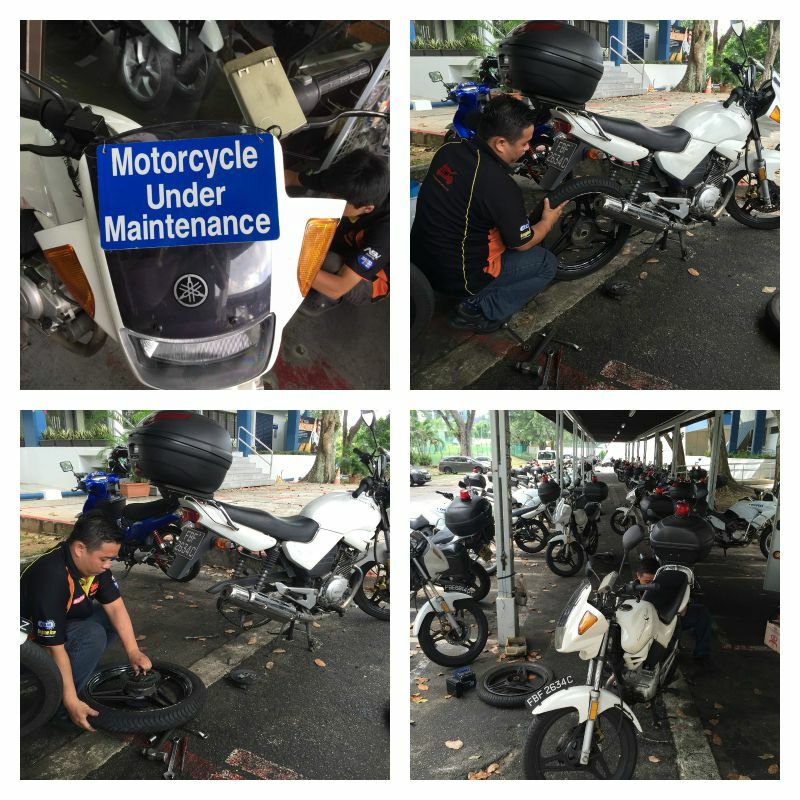 Unique Motorsports Pte Ltd shall conduct any necessary repairs to the motorcycles prior to the AVI so that the motorcycles will pass the inspection. b) Replacement of faulty patrol lightings and sirens, if any. Replacement Vehicle will be provided if the TMP vehicle will be down for more than 48 hours. Please contact Mr Kelvin Lim at 93388999 or email at kelvin@uniquemotorsports.com.sg for more information on Comprehensive Maintenance Packages. Thank you.